HERNDON, VA (January 2, 2019) – Volkswagen’s fully-electric e-Golf brings all the benefits of an electric vehicle to the Golf’s “fun-to-drive, yet practical” formula, forever ending the idea that compact EVs must be bland and focused only on efficiency. The 2019 e-Golf is available in two trims—SE and SEL Premium. New for the SE trim is a standard DC Fast Charger, enabling the battery to be charged to approximately 80 percent within an hour at a DC fast charging station. 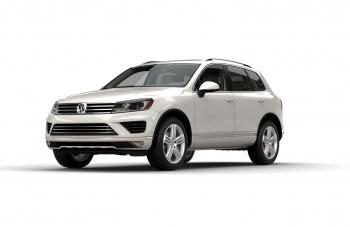 A Driver Assistance Package is available, and includes Forward Collision Warning and Autonomous Emergency Braking (Front Assist), Blind Spot Monitor, Rear Traffic Alert, and Adaptive Cruise Control (ACC). The SEL Premium trim now offers a suite of standard driver-assistance features, including Front Assist, Active Blind Spot Monitor, Rear Traffic Alert, ACC, Lane Keeping System (Lane Assist), Park Assist and High Beam Control (Light Assist). Pricing for the 2019 Volkswagen e-Golf SE starts at $31,895. The SEL Premium model starts at $38,895. The destination charge for all e-Golf models is an additional $895. The e-Golf shares the majority of its exterior design with the rest of the Golf family, which means it has the same sharpened lines and dynamic proportions as the other refreshed seventh-generation (A7) models. It does, however, have its own distinguishing features. 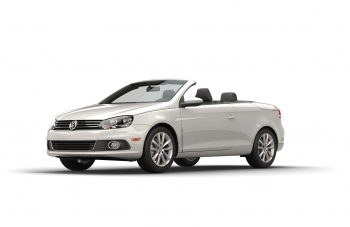 The most notable of these is the energy-efficient LED headlights on the SEL Premium model. These lights offer greater illumination than traditional Bi-Xenon® units, yet use less energy in doing so. All 2019 e-Golf models now receive C-shaped LED daytime running lights (DRLs) in the front bumper, and LED taillights in the rear. Other clues that this is an all-electric Volkswagen are the unique badges and blue accents, as well as the absence of any tailpipes at the rear. The e-Golf exterior has some unique functional elements as well. Great attention has been paid to help maximize the car’s aerodynamic efficiency. 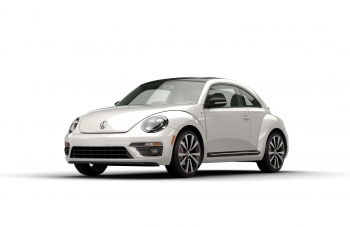 This is most evident in the 16-inch aluminum-alloy wheels which are flushed tightly within the wheel arches, helping ensure airflow is smooth and efficient along the sides of the vehicle. The wheels are wrapped in low rolling resistance tires. In addition to the wheels, the radiator shutter and grille, underbody paneling, rear spoiler and C-pillar air vanes all play a role in helping the e-Golf cut through the air quite efficiently. The result of this is an impressive coefficient of drag of 0.27. As with the exterior, the e-Golf features an interior that incorporates common elements found in the rest of the 2019 Golf line as well as several unique features. Despite the large battery pack lying underneath, the e-Golf cabin offers exactly the same interior volume as other Golf hatchback models, an impressive 93.5 cubic feet. 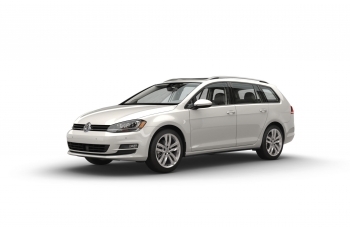 It retains the highly versatile Golf cargo area, with 22.8 cubic feet of space behind the rear seats and 52.7 cubic feet with the seats folded. Similarly, it features the same use of upscale materials and premium build quality as other Golf models, as well as the updated ergonomics and driver-centric layout. Great attention has been paid to helping perfect the e-Golf noise levels and acoustics from both inside the cabin and out. Without the vibration and noise from a traditional combustion engine, new sources of sound can become more noticeable inside the cabin such as wind noise, tire sound and electrically powered auxiliary components. To counter this new acoustic profile, Volkswagen has fitted the e-Golf with a low-speed sound system to help alert pedestrians of the vehicle’s proximity, and has fitted the interior with highly sound-absorbent, lightweight materials, creating an incredibly quiet cabin. Further, the electric powerplant’s subframe is a pendulum mount design, which, along with a low-noise motor housing unit, helps to enhance the calm acoustics of the e-Golf, despite the motor’s high torque buildup under acceleration. The e-Golf also offers an interior feature list that is entirely its own, including aesthetic details like blue accent elements throughout the cabin and, with the black interior, decorative seams on the steering wheel and shifter. Perhaps most notably, the instrument cluster has been redesigned for the electric vehicle’s informational needs, with the traditional tachometer being replaced with a power display that indicates if the motor is ready, whether the battery is being recharged (via regenerative braking), or if power is being drawn off—as well as an indicator of available output. To the right of the power display is a conventional speedometer, although its lower section shows an indicator of the battery’s current state of charge. Between these two gauges lies a color information display that presents critical data such as the current drive options selected, the estimated driving range, and the remaining estimated charging time and type of charge connection. Since the electric motor doesn’t offer the same auditory and physical signs as a combustion engine when it’s running, a “READY” message appears after the motor has been started. The e-Golf offers a high level of standard and available equipment, including: KESSY® keyless access with push-button start; heated front seats; a leather-wrapped multifunction steering wheel; cruise control; a car alarm; and a rearview camera. MIB II Infotainment. All 2019 e-Golf models feature Volkswagen’s innovative MIB II touchscreen infotainment system. The display utilizes a capacitive-touch sensor (as in smartphone and tablet technology) rather than the more common resistive touchscreens that require pressure, enabling gesture controls like swiping and even pinch-zooming. Entry-level e-Golf SE models are equipped with a glass-covered 8.0-inch Composition Media unit with capacitive touchscreen display. Composition Media units offer SD card and USB (one port) multimedia interfaces, as well as a rearview camera, Bluetooth® technology for compatible devices, a JPEG viewer, SiriusXM® radio for a three month trial period, and HD Radio. It also has the ability to send and receive SMS text messages with Bluetooth with compatible phones and pair two phones simultaneously. 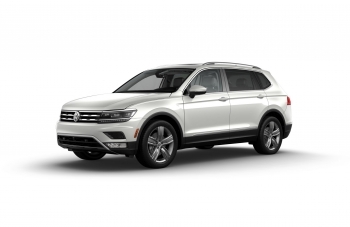 SEL Premium models are equipped with a 9.2-inch Discover Pro unit, which features navigation, Gesture Control, EV-specific functions, and the largest-available and highest-resolution infotainment display of any Volkswagen model in the US. It offers 3D navigation including buildings and city models, and featuring one-shot voice destination and POI entry, and destination entry with search and auto-complete. The navigation system can also predict possible destinations based on often used routes and let the driver easily adjust a route by on the map by touching the route and then dragging the waypoint to the desired location. Compared to the previous generation of Discover Pro, the processor speed has been increased by 100% and the RAM has been doubled for a smooth user experience. Discover Pro comes with a 64GB internal SSD hard drive and DVD drive. The infotainment system also includes a WLAN connection to allow easy control of the infotainment system using the VW Media Control app. 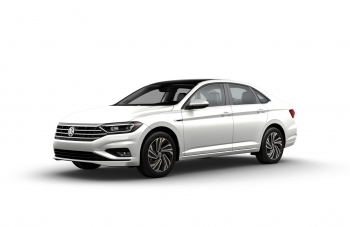 With the Media Control app, passengers can interact with the Volkswagen infotainment system from a connected tablet or smartphone and vice versa. Passengers can stream their favorite DRM-free songs from their compatible smartphone, SD card, or USB drive to make a shared playlist that is as unique as the road-trip itself. From the app, you can also see your vehicle’s current position, the distance to the destination and the remaining driving time on the display. When connected to the internet, you can search on your compatible mobile device for locations, an address from an appointment calendar, or the phone book and easily transfer them as the destination to the vehicle’s navigation system. The MIB II infotainment system display can be used to access EV-specific features such as driving data, charging timers, and remote climate control settings. Additionally, Volkswagen’s “Think Blue. 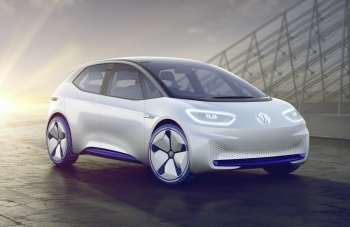 Trainer,” which offers driving tips to conserve battery life, is now standard on all e-Golf trims. It also provides fun training exercises and optional training modules to encourage drivers to develop more efficient driving habits. Volkswagen Digital Cockpit. Standard equipment on the top-of-the-line e-Golf SEL Premium includes the Volkswagen Digital Cockpit, which features a 12.3-inch high-resolution display. This fully-digital instrument cluster offers the driver the flexibility to select from several display profiles of key vehicle and driving information. Volkswagen Car-Net. Volkswagen is committed to driving the development of more connected and intelligent vehicles, and the Car-Net® connectivity system is a major element in achieving that goal. Car-Net App-Connect smartphone integration for compatible devices is standard on all e-Golf models. App-Connect offers users the ability to run select smartphone apps directly on the vehicle’s display through services such as Apple CarPlay™, Android Auto™ and MirrorLink®. 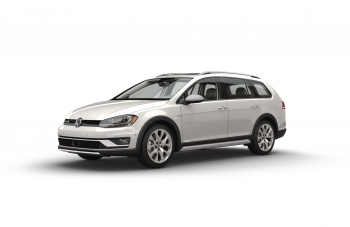 Equipped on all e-Golf models, Car-Net Security & Service is a suite of elements that provides security features and also allows owners to access their VW remotely through vw.com/carnet as well as a smartphone app. 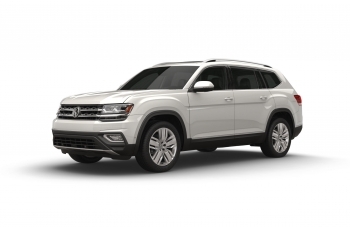 Customers purchasing new Volkswagen models equipped with VW Car-Net Security & Service will receive a six-month trial subscription from Verizon Telematics that starts on date of your Volkswagen purchase for no additional charge. To extend the benefits of this system after the trial, customers can choose from a number of payment options: One year for $199 and two years for $378, or month-to-month for $17.99, plus applicable taxes and fees. App-Connect can be used free-of-charge and is not included as part of the subscription-based services. 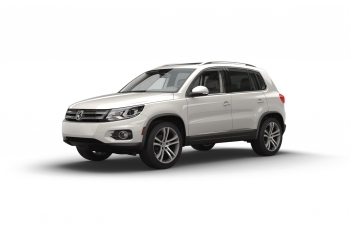 The available VW Car-Net app for smartwatch (supports select Apple Watch® and AndroidTM Wear operating systems) allows VW customers to control a host of Security & Service features and functions available through the iPhone® and Android® apps and Customer Web Portal, directly from their wrist. Smartwatch wearers can keep tabs on their vehicle from afar, remotely locking and unlocking doors and viewing the status of doors, windows and sunroof (open or closed). These consumers can also find a parked vehicle more quickly, with a map of the current vehicle location, and get walking or driving directions to the vehicle. 2019 e-Golf drivers can check their charge level and receive alerts with a compatible smartwatch. 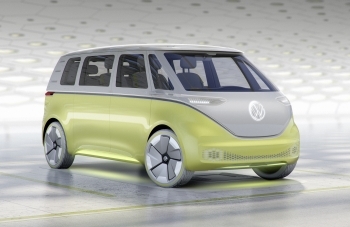 For 2019, Volkswagen is using a lithium-ion battery with energy capacity of 35.8 kWh. 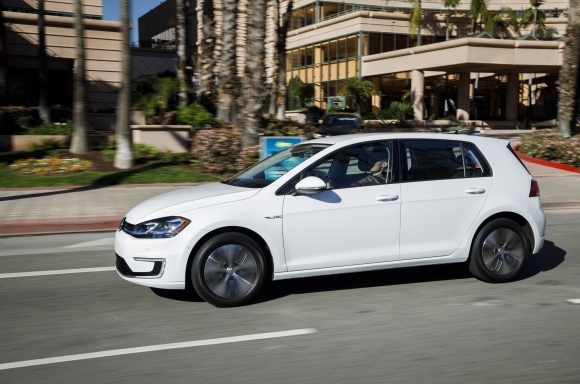 A 7.2 kW on-board charger is standard on all e-Golf trims, which enables the battery to be charged in less than six hours at a 240V charging station. 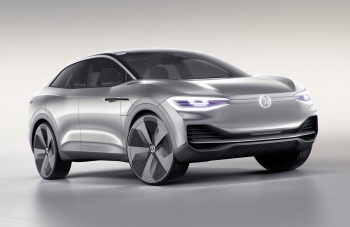 All e-Golf models now also feature DC Fast Charging, enabling the battery to be charged to 80 percent within an hour at a commercial DC fast charging station. The 2019 e-Golf is powered by a 100 kW synchronous permanent-magnet alternating current (AC) motor. In standard drive mode, it’s capable of delivering 214 lb-ft of torque along with 134 horsepower, all the while not using a single drop of gas and producing zero tailpipe emissions. The compact electric motor sends its power to the front wheels via a single-speed transmission. Depending on driving style, vehicle settings, charging behavior, and other factors, the EPA-estimated total range for the e-Golf is approximately 125 miles. For city driving, the EPA estimated fuel economy is 126 MPGe; highway driving is rated at 111 MPGe, and combined city/ highway at 119 MPGe. To help ensure optimal performance in cold weather, a heat pump system that is fitted in the SEL Premium model uses both ambient air and heat from the drive system components to warm the cabin rather than relying solely on the high-voltage heater, which can help to reduce on-board electrical consumption, especially during winter driving. Providing power for the e-Golf electric motor is a lithium-ion battery resting in the center tunnel just ahead of the rear axle and below the rear seats. 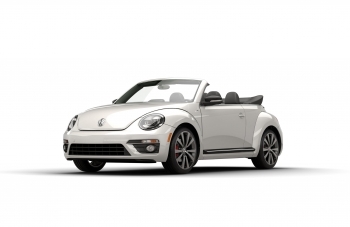 Thanks to the Modular Transverse Matrix (MQB) flexible architecture, Volkswagen was able to place the large battery within the chassis architecture to eliminate any additional cabin intrusion or reduction in interior space. The unit is composed of 264 individual prismatic cells, which are designed such that the battery doesn’t require any active cooling systems. Co-developed with Panasonic®, these cells are integrated in 27 modules of either six or twelve cells each, which collectively offer an overall capacity of 35.8 kWh. The battery has a limited warranty that covers eight years or 100,000 miles (whichever occurs first). At the front of the battery pack lies the Battery Management Controller (BMC), which has a range of functions, from regular diagnosis and monitoring to helping regulate temperatures in the battery junction controller (the interface to the motor’s energy supply). To help combat extreme temperature conditions, the BMC utilizes intelligent thermal control algorithms to help ensure that temperatures within the battery pack remain within a pre-determined range for optimal performance. When the e-Golf is not in use, battery power is automatically shut off. The e-Golf power electronics module helps control the flow of high-voltage energy between the battery and motor. Depending on the battery voltage (which runs between 264 and 369 volts), the module converts the battery’s store of direct current (DC) energy into alternating current (AC). This unit interfaces with the traction circuit connection to the battery, the three-phase connection to the electric motor, the plug connection from the DC/DC converter to the 12-volt power circuit, and the connection for the high-voltage power distributor. All 2019 e-Golf models have a 7.2 kW onboard charger as standard equipment. While the standard charging cable can plug into any 110/120-volt electrical socket and charge the battery in roughly 35 hours, a more optimal solution exists in the optional 240-volt wall box (sold separately) that utilizes the 7.2 kW to charge a battery in less than six hours. All e-Golf models come equipped with a standard Combined Charging System (CCS) which allows the car to use the SAE standard DC fast charging infrastructure (at available commercial stations), delivering direct power at up to 50 kW, and bringing the battery’s state of charge up to 80 percent within an hour. The e-Golf automatically defaults to the “Normal” driving profile, which offers the full horsepower and torque of the electric motor, enabling the e-Golf to reach 60 mph from rest in just 9.6 seconds and continue on to an electronically-limited top speed of 85 mph. If greater range is needed, the driver may select from either “Eco” or “Eco+” modes. In “Eco” mode, maximum power is limited to 94 horsepower and 162 lb-ft, and adjustments are made to the air conditioning system and the response curve of the accelerator pedal. Top speed in “Eco” mode is electronically limited to 72 mph and 0-60 mph performance is approximately 13 seconds. In “Eco+” mode power output is limited to 74 hp and 129 lb-ft; top speed won’t exceed the electronically limited figure of 56 mph and the accelerator pedal response curve is flattened even further. The vehicle’s air conditioning is also switched off to help maximize efficiency. Regardless of the drive mode selected, however, full accelerator pedal “kick-down” will result in the maximum power and performance of the “Normal” mode. In addition to the driving modes, the regenerative braking system can also be used to help manage the e-Golf range. There are three driver-selectable levels available: “D1”, “D2”, and “D3”/”B”. By helping to control the amount of energy that can be recuperated from braking, the e-Golf can achieve additional driving range. If the battery is fully charged and the vehicle is in standard “D” mode, no regenerative braking will occur. If the driver lifts off the accelerator pedal or taps the shift lever to the left, the first level of regenerative braking, “D1,” is activated, wherein a small amount of energy is recuperated (and the car is slowed slightly).The Levels “D2” and the maximum “D3”/“B” offer increasing levels of regenerative braking and energy recuperation. The e-Golf shares the same spry MQB chassis architecture as the rest of the Golf line. The unitary construction chassis has two solid-mounted subframes with bolt-on front fenders, and utilizes new technologies such as the laser clamp welder. This produces “wobble seam” welds in a wave pattern to help maximize strength in a limited space, offering significantly more strength than that of a traditional spot weld. The stamped steel body and chassis boasts a large percentage of high-strength, hot-formed steel. This technology, along with the use of newly developed ultra-high-strength steels, allows much of the chassis and body to be constructed from thinner and lighter parts without loss in strength. The e-Golf SE weighs 3,459 pounds, just 514 pounds more than a four-door Golf 1.4T automatic model, despite the 701-pound battery. The e-Golf features a strut-type front suspension with a rear multilink arrangement that has coil springs, telescopic dampers, and an anti-roll bar. The rack-and-pinion steering features electric power assist. The e-Golf is also equipped with the XDS® Cross Differential System—a feature previously only seen on the performance-oriented Golf GTI model. This technology is designed to act somewhat like an electronic substitute for a traditional mechanical limited-slip differential, working by actively monitoring data from each wheel sensor. If the suspension becomes unloaded, the system automatically applies braking to the driven inside wheel as needed to help reduce understeer (the tendency for the front wheels to run wide). This not only helps the e-Golf’s stability, but also contributes to improved handling and cornering performance. To help protect occupants, the e-Golf provides a combination of both passive and active safety systems. It features six airbags as standard (front and side airbags for front passengers and side curtain airbags for outboard seating positions), along with a number of electronic safety systems, such as an Anti-lock Braking System (ABS) and Electronic Stability Control (ESC). A standard feature on the 2019 e-Golf models is Volkswagen’s Automatic Post-Collision Braking System. This builds on the premise that a collision is rarely a single, instantaneous action, but rather a series of events that follow the initial impact—the most significant of which can cause additional collisions. The Automatic Post-Collision Braking System helps address this by applying the brakes when a primary collision is detected by the airbag sensors, thus helping reduce residual kinetic energy and, in turn, the chance of additional damage. The Golf also includes Volkswagen’s Intelligent Crash Response System that shuts off the fuel pump, unlocks the doors, and switches on the hazard lights if the car is involved in certain types of collisions. 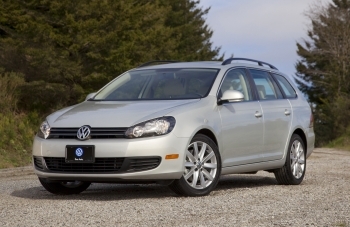 All Golf models feature a standard rearview camera. To meet the demands of American drivers, the 2019 e-Golf offers a comprehensive suite of driver-assistance technology. Available features include: Forward Collision Warning and Autonomous Emergency Braking with Pedestrian Monitoring (Front Assist); Active Blind Spot Monitor Rear Traffic Alert; Adaptive Cruise Control (ACC); Lane Keeping System (Lane Assist); Park Distance Control; Park Assist; and High Beam Control (Light Assist). Front Assist, standard on SEL Premium trims and SE trims equipped with the optional Driver Assistance Package, is intended to warn drivers of potential frontal collisions (Forward Collision Warning) with vehicles, and in some cases provide automatic braking assistance (Autonomous Emergency Braking). Pedestrian Monitoring, which is intended to warn drivers of potential frontal collisions with pedestrians, is also included. Blind Spot Monitor is standard on SEL Premium trims and SE trims equipped with the optional Driver Assistance Package. Blind Spot Monitor uses two radar sensors at the rear of the vehicle to scan the approaching traffic and is intended to warn drivers of potential danger in adjacent lanes. If the driver uses the turn signal to indicate a lane change while a vehicle is detected in a blind spot, the system utilizes a flashing LED symbol in the outer area of the side mirrors. Even if the driver does not use a turn signal, the LED symbol in the mirror will illuminate if a vehicle is detected in the blind spot. The system is designed to help alert drivers in specific situations; stationary objects or oncoming vehicles do not trigger warnings, nor do vehicles more than one lane across away from the vehicle. If combined with Lane Assist (SEL Premium models, see below) the system not only warns the driver with the flashing LED symbol if a vehicle is detected in the blind spot, but within system limits, it can also countersteer to help keep the car in the lane even if the turn signal is on. If the driver still tries to steer out of the lane, the system will warn with an additional vibration of the steering wheel. The Rear Traffic Alert system, standard on SEL Premium trims and SE trims equipped with the optional Driver Assistance Package, is intended to detect vehicles approaching from the side that may be difficult for the driver to see while reversing. It offers a sizable range of about 65 feet on either side of the vehicle, and will present a visual and an acoustic warning, if a potential collision with a crossing vehicle is detected. If the driver does not react, the system can apply the brakes to help mitigate and, in the best case, can help prevent a collision. The system is activated by putting the car in reverse. Adaptive Cruise Control (ACC), standard on SEL Premium trims and SE trims equipped with the optional Driver Assistance Package, uses a forward facing radar to maintain a set speed while helping maintain a set distance to the vehicle in front. The driver sets the speed and the desired spacing via buttons on the multifunction steering wheel and can further use those buttons to adjust and cancel the ACC function while the accelerator can be used to override the ACC function. Pressing the brakes always cancels the ACC function. All ACC-related system messages appear in the central multifunction display. When the roadway ahead of the vehicle is clear, the system maintains the set speed. e-Golf models fitted with ACC can match a vehicle in front and come to a stop if the vehicle in front does. The driver can resume ACC control by pressing the accelerator pedal or by depressing the “Resume” button on the steering wheel. Lane Keeping System (Lane Assist) is standard on SEL Premium models. When driving above 40 mph, if there is an indication that the vehicle is unintentionally straying from its lane without using a turn signal, Lane Assist actively countersteers to help keep the vehicle in the lane. The system’s camera recognizes visible lane markings and, using a special algorithm, calculates the risk of the car leaving the lane. If the driver takes his or her hands off the wheel for a defined period of time, the system provides an audible warning and a visual signal in the instrument cluster, asking the driver to take over. Park Distance Control, equipped on SEL Premium models, uses ultrasonic sensors located in the front and rear bumpers to monitor a range of up to approximately five feet in front or behind the vehicle. The system is activated when reverse gear is engaged or below a speed of 9 mph and helps provide guidance when parking or in tight spaces. The system has audible and visual warnings when the car starts to approach parked cars or static objects from the front or rear. Park Assist is included on SEL Premium models. This system can automatically steer the car into parallel and perpendicular parking spaces (the latter both forward and in reverse). While driving below 12 mph, pressing the Park Assist button will preselect the likeliest parking maneuver based on the size of the parking spot but it will also show other available maneuvers in the instrument cluster. The driver only needs to activate the accelerator pedal and brake once a gear is selected, as Park Assist can automatically help steer the vehicle into the parking space. High Beam Control (Light Assist), standard on SEL Premium models, automatically raises the headlamp high beams above 40 mph on dark or poorly lit roads, if there is no oncoming traffic detected. Volkswagen’s holistic approach to e-mobility is shown with a complete ownership package for the e-Golf. ChargePoint® will provide authorized e-Golf dealerships with charging stations and e-Golf owners will have access to the ChargePoint network of public EV charging stations, the largest in the world. 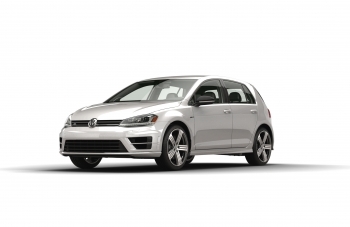 As a result, e-Golf drivers will receive a complimentary ChargePoint card which will give them instant access to more than 34,000 charging ports on the ChargePoint network around North America, in addition to stations installed at authorized Volkswagen dealerships. 2019 e-Golf drivers will be able to access the ChargePoint mobile app to help them navigate to charging stations, start charging sessions and check charging status. The e-Golf has its own dedicated Volkswagen Car-Net Security & Service app. The Volkswagen Car-Net Security & Service app with e-Mobility features allows e-Golf owners to remotely adjust vehicle settings via compatible mobile devices, as well as the Volkswagen Car-Net Security & Service website. Through the app, owners can start (and stop) the car’s climate control system as well as view temperature readings. Similarly, the charging process for the battery can be started, stopped, and set to a time. The app enables drivers to pre-program up to three departure and charging times. Owners can access a variety of data through the information display on the app, including: miles driven; journey time; estimated electric motor power consumption; estimated power consumption of auxiliary components such as air conditioning and radio; and the use of regenerative braking. Owners can even simply check the status of the car’s door and trunk locks, lights, charging cable or GPS location. 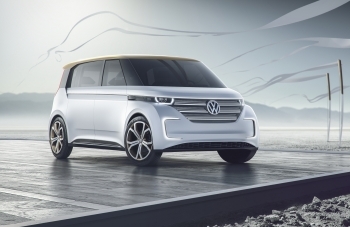 Volkswagen’s Roadside Assistance Plan is designed to take the potential stress out of planning around the range limits of an EV. For instance, if the e-Golf runs out of charge within 100 miles of the owner’s home, Volkswagen will arrange for the car to be delivered to a nearby, convenient source for charging, as well as pay any taxi or transportation fees for the owner. This press release and images of the 2019 e-Golf are available at media.vw.com. 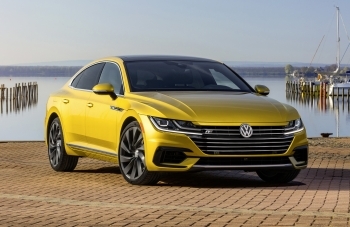 Follow us @VWNews. “KESSY”, “VW”, “Volkswagen”, all model names and the Volkswagen logo are registered trademarks of Volkswagen AG. 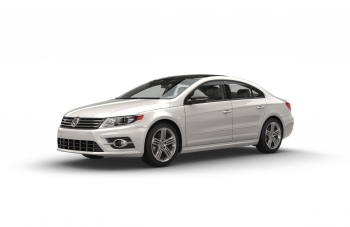 “Car-Net” is a registered trademark of Volkswagen Group of America, Inc. “Apple Watch”, “CarPlay” and “iPhone” are trademarks of Apple Inc. “Bluetooth” is a registered trademark of Bluetooth SIG, Inc. “MirrorLink” is a registered trademark of the Car Connectivity Consortium LLC. “Android”, “Android Auto”, and “Android Wear” are trademarks of Google LLC. “Bi-Xenon” is a registered trademark of Hella KGaA Hueck & Co. “Panasonic” is a registered trademark of Panasonic Corporation. “Sirius”, “XM”, “SiriusXM” and all related marks and logos are trademarks of SiriusXM Radio Inc. All other trademarks are the property of their respective owners. The 2019 Volkswagen e-Golf will be available only at participating dealers in select states. Where stated, range (miles) and fuel economy values (mpge) are EPA estimates. See www.fueleconomy.gov for details. Actual mileage and range will vary and depend on several factors including driving and charging habits, accessory use, temperature and topography, battery age, and vehicle condition. Battery capacity decreases with time and use. Not using the vehicle for long periods can cause damage to the high-voltage battery. See owner’s manual for details. When equipped with DC Fast Charging, e-Golf charges up to 80% within an hour requires charging at select DC fast charging stations. Frequent and consecutive high-voltage charging (including DC charging) can permanently decrease the capacity of the high-voltage battery. See owner's manual for details. Charge time for 7.2W on-board charger in under six hours is the approximate time with available 240V home charging wall box, purchased separately. Actual charge time will vary and depends on several factors including battery age and vehicle condition. Battery capacity decreases with time and use. See dealer or owner’s literature for limited warranty details.